We’re buzzing about being asked to be Media Sponsor at the Greenock Chamber of Commerce’s annual Bees Knees Awards for the second year running. The 2016 Awards were launched this week at the Waterfront Cinema to a packed audience of representatives from Inverclyde’s diverse and flourishing business sector. Last year we had the privilege of filming all of the finalists and category sponsors and it was a real eye opener to see first-hand the wealth of talent in Inverclyde. We also filmed the Awards dinner and provided all of the big screen motion graphics. We’re looking forward to getting out and about again and seeing what 2016’s finalist crop brings. I’m sure we’ll be amazed, inspired and encouraged again by the incredible people living and working in this area. Here is just one of last year’s winners, Trade Right International, who took home the award for Most Promising New Business. And here is the time-lapse intro film we made for the start of the evening. We’re delighted to announce that Gryffe Studios will be the Media Sponsor for the second year running for the Greenock Chamber Bees Knees Awards 2016! Our role of media sponsor includes creating short videos for all the sponsors and nominees. We’re looking forward to going out and filming all the many great companies in Inverclyde that will eventually be short-listed for awards. The videos are played on the evening of the awards to demonstrate why each company is so good at what they do. We also create all the motion graphics for the large screens on the night of the awards. Before that though, we’ve got the 2016 launch event to look forward to, which is on Tuesday 26th January 2016 at Waterfront Cinema – Greenock. We look forward to seeing all the great businesses that have previously participated in the Bees Knees there, as well as hopefully a whole load of new businesses that would like to find out more about what the awards are about. Its a great opportunity to network with Inverclyde’s established, and up and coming business leaders, so if you’ve got a spare couple of hours, come along. We’ll be showing off all the videos from last years shortlisted companies on the big screen. And, if that’s not a good enough reason to come along, there’s going to be FREE popcorn on the go!!! We’ll also be doing our thing, like we always do at events, and making a wee film, so make sure to give your hair a brush, and put on a decent suit if you can manage it on the day! Here’s the film from last years launch day, to get you in the mood. Promotional Video: Make your business the star! https://i0.wp.com/www.gryffestudios.co.uk/wp-content/uploads/2015/09/videoStats-01-01-01.jpg?fit=399%2C329&ssl=1 329 399 yvonne https://www.gryffestudios.co.uk/wp-content/uploads/2017/08/Gryffe-Studios-Logo-3-300x138.png yvonne2015-09-08 15:51:312017-10-01 07:21:03Promotional Video: Make your business the star! Every weekend the Gryffe team travels across Scotland, filming at some of the most stunning buildings Scotland has to offer. The Signet Library is one of our favourite Edinburgh venues. Located right in the heart of the Old Town, just a stone’s throw from the historic St Giles Cathedral, and steeped in history. So when we found ourselves with a rare day off, we could think of no better place to spend it than in the Signet’s gorgeous Collonades room indulging in a splendid afternoon tea. Our bouche was amused by a serving of Roasted Pepper and Tomato soup, served in the dinkiest of tea cups. This was followed by a selection of delicious hot and cold savouries including a goat’s cheese tart, mini Aberdeen Angus burger and a medley of sandwiches. No afternoon tea would be without some scones, lovingly smothered in clotted cream and jam. And you don’t just get any old jam here, you are presented with a pot of Isabella’s strawberry and Champagne compote. We don’t know who this Isabella person is, but she makes a mean preserve. Saving the best til last, we gorged on a range of lip-smackingly indulgent sweet treats, handcrafted by the Signet’s resident pastry chef, Matthew Oates. From the passionfruit éclair to the Belgian chocolate and Hebridean salted caramel tart, our tastebuds were doing a happy dance. All of this was washed down with lashings of the obligatory tea. And since this is not your average tea house, there are of course a variety of blends suitable for the most delicate of palates. And so, two hours later and with our top trouser buttons undone, we left the Signet sated, full and fit to burst. We’ll definitely be back soon. But next time we’ll be wearing elasticated waistbands. Afternoon tea at the Collonades in The Signet Library starts at £60 per couple. 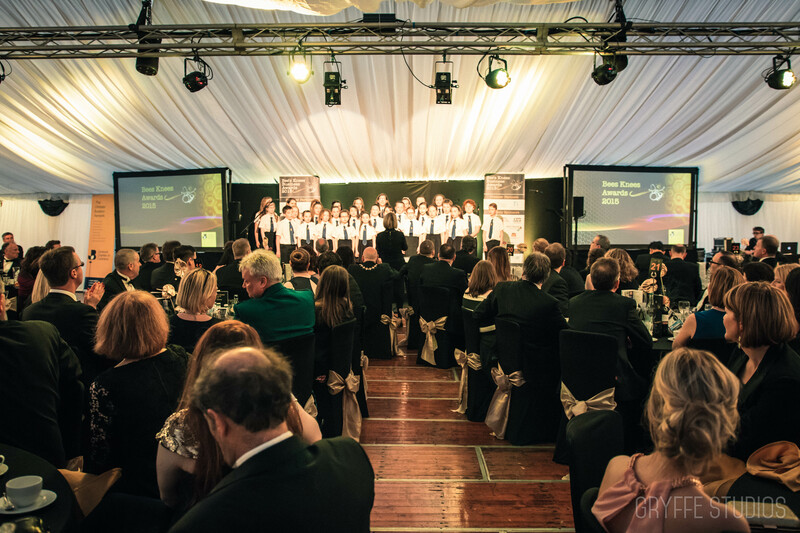 The Gryffe team was buzzing last Friday night as we descended on the Chartroom at Inverkip Marina for the Greenock Chamber of Commerce’s Bees Knees Awards. 300 of Inverclyde’s movers and shakers were present to see the cut glass trophies be presented to eleven very worthy winners. We were delighted to be involved as Media Sponsor. This involved us making thirty finalist and ten sponsor videos, as well as designing all of the big screen graphics. We also produced a beautiful time-lapse video, which was shown at the very start of the evening. 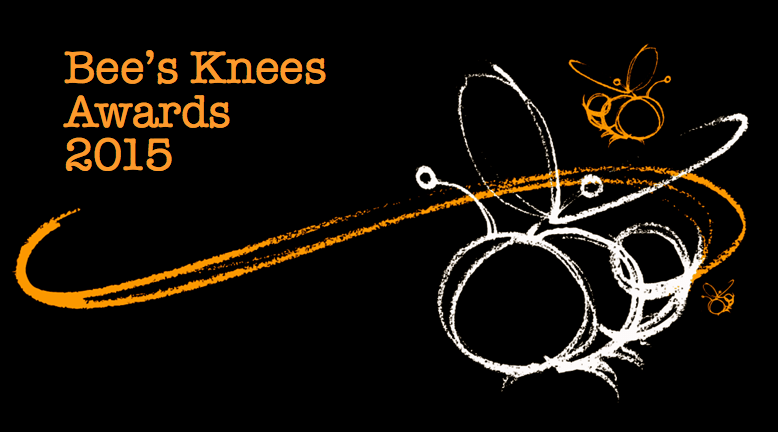 Welcome Video – Bees Knees 2015 from Gryffe Studios on Vimeo. In addition to this, our sister company Gryffe Weddings was shortlisted for the Best Performing Business Award. Unfortunately we didn’t win this but, having been in the unique position of meeting all of the finalists, we truly appreciate what a difficult job the judges must have had. There are truly some talented people in Inverclyde! Well done to the Greenock Chamber for putting on another amazing night – and also for arranging for the sun to come out. We hope there weren’t too many sore heads in the morning! It’s been a busy few weeks at Gryffe Studios and it shows no signs of slowing down! We’ve now completed filming of all of the Bees Knees Awards finalist and sponsor videos. It’s just the small matter of all the editing work! But it’s shaping up brilliantly and we can’t wait for the world premiere at the awards on Friday 5th June! Greenock was abuzz with excitement last week when the Queen Mary 2 docked. 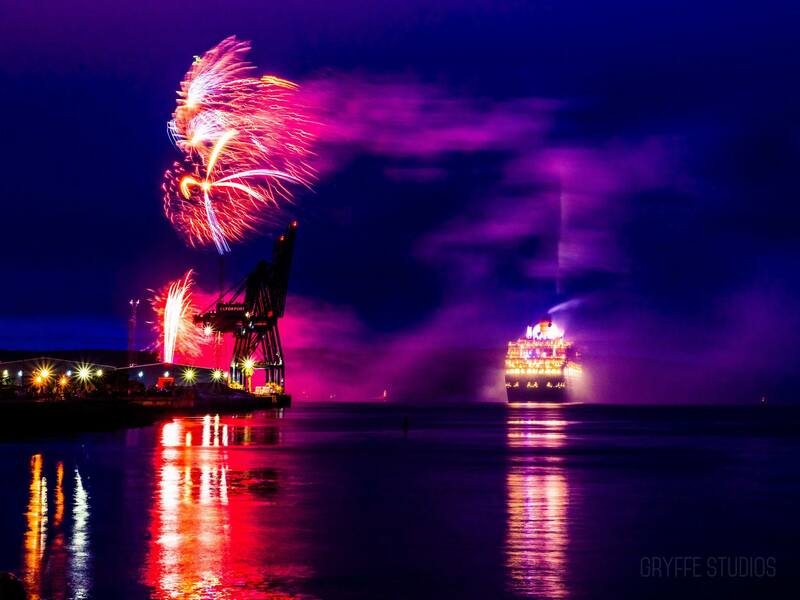 The city gave the vessel an amazing send-off and we were there to capture it. We’ve also been busy with our corporate work – having undertaken two client portraits and a Kickstarter video in recent weeks. Thirty companies have been revealed as finalists in the Greenock Chamber of Commerce’s Bee’s Knees Awards 2015. This is the 12th year of the awards initiative, which continues to throw the spotlight on Inverclyde’s top business talent and raise the profile of the region. One winner in each of the ten categories will be announced to a business audience at the Bee’s Knees Awards and Gala Dinner in the Marquee at the Chartroom, Kip Marina, on Friday 5 June 2015. The Lifetime Achievement Award will be revealed on the night. 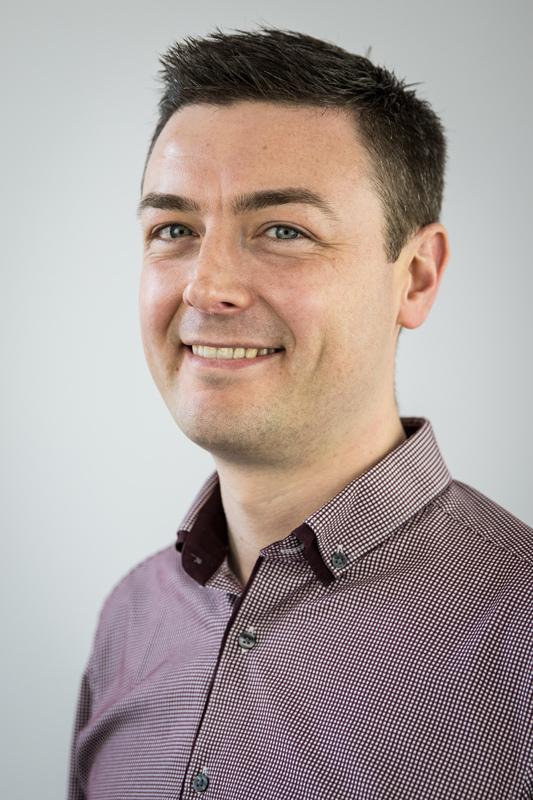 “Our Bee’s Knees awards are all about celebrating the fantastic businesses we have right here in Inverclyde by showcasing their resilience, innovation and success,” said Steven Watson, Greenock Chamber President and CEO of Stepwell. “Along with our sponsor partners at the Gala Dinner next month, we will throw the spotlight on all our finalists – businesses that are driving our economic growth through their local, national and international endeavours. They represent an exciting diversity of companies, which put Inverclyde on the business radar not solely here in the UK but also globally. Winners will be presented with a glass trophy with all finalists awarded a certificate, as well as receiving a DVD about their business, specially produced for the awards ceremony by media sponsor Gryffe Studios. PR sponsor is Elaine Stewart Public Relations Ltd and Print and Programme sponsor is Love & Humphries. The Bee’s Knees Awards ceremony and Gala Dinner will be hosted by Phil Harkins, Senior Vice President of Greenock Chamber and MEA Delivery at Concentrix. For those who want to dance the night away, an after show party will round off the evening in the Chartroom, with the opportunity to also sit back, relax and continue networking in the marquee. Greenock Chamber is inviting everyone to get the buzz going by tweeting in the run up to this year’s Bee’s Knees Awards ceremony. Simply tag your tweets #BeesKnees2015 to join in the chat. 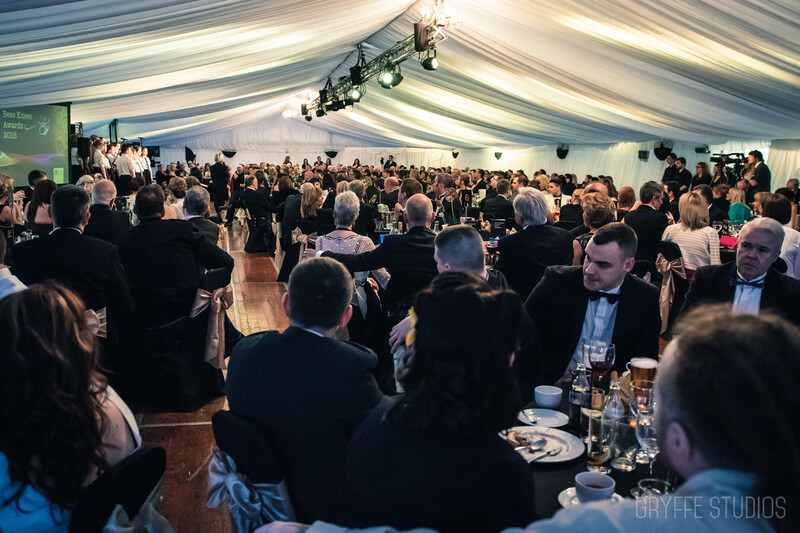 More details about the Gala Dinner are available online at The Greenock Chamber where you can also connect with Greenock Chamber on Twitter or Facebook, or contact Chief Executive Helen McCormick on tel: 01475 888622, email: chiefexecutive@greenockchamber.co.uk. We are delighted to be involved with this year’s Inverclyde Business Awards – The Bees Knees – in our role as Media Sponsor. As well as filming the prestigious awards dinner on the 5th June, we are producing all of the motion graphics and videos for the finalists and sponsors. This role has taken us all over Inverclyde, filming 40 videos in just three weeks! We have met some amazingly talented people, with such incredible drive and passion for what they do. It’s been truly inspiring. 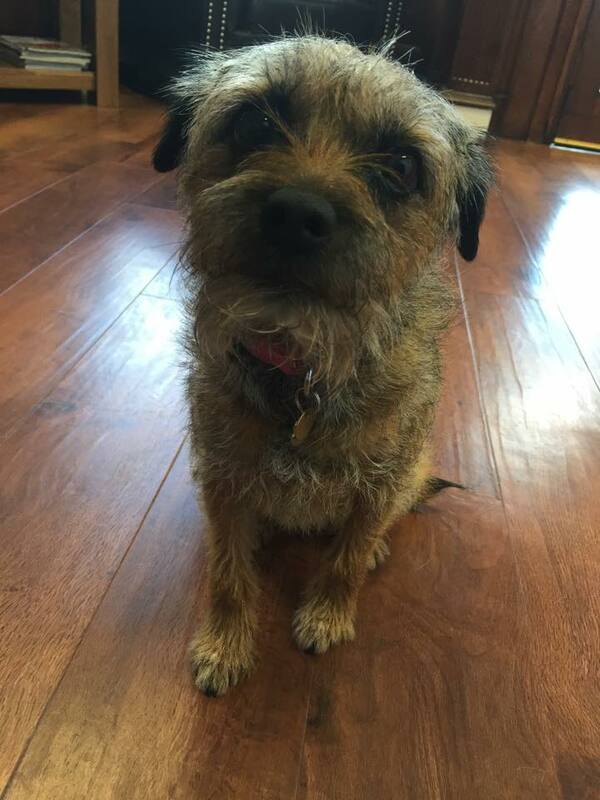 Our sister company, Gryffe Weddings, is a finalist in the Best Performing Small Business category alongside MacDonald and Co Wealth Management and Seatrek Training Ltd.
MacDonald and Co are a vibrant bunch of number crunchers, based in Gourock, and we received such a warm welcome – particularly from the office dog, Pippa! Seatrek are based in the stunning Inverkip Marina and offer a variety of nautical training. Although the weather wasn’t on our side when we visited, this didn’t affect the sunny disposition of Lesley and her staff. The University of the West of Scotland are sponsoring this category and it was lovely to welcome Lorraine into our studios to film her short segment. It must have been tough for the judges to select the winner in this category and, although we are obviously rooting for Gryffe Weddings, each of our fellow finalists would also be worthy winners.